Thousands of Zimbabwe nurses who were sacked after they went on strike for better wages have been told to return to work by their union, in a bid to allow fresh negotiations with the government. Some 15 000 nurses fighting for better work conditions walked out of public hospital wards last Monday, paralysing major hospitals resulting in patients being turned away. 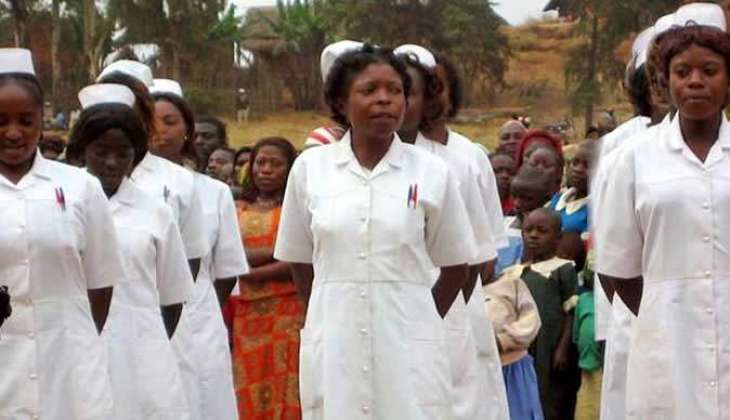 “To pave way for re-opening of negotiations and protection of our workers we have decided to call off the industrial action,” the Zimbabwe Nurses Association said in a statement Saturday night, urging all nurses to report for duty by Monday. The nurses said their strike had been politicised, but gave no details. “It is highly regrettable that our cause of collective job action has been highly politicised,” said the statement. The nurses are demanding better wages and are complaining about lack of basics in government hospitals, including drugs. After sacking the striking nurses, the government resorted to hiring unemployed nurses and recalling those who have retired to fill the vacant posts. The dismissal of the nurses was seen as a hardline response by the country’s new leadership to growing labour unrest. After Robert Mugabe’s 37-year rule, Emmerson Mnangagwa took over, vowing to revive the country’s moribund economy and attract foreign investment to fund better public services.